Teratec announced the appointment of Daniel Verwaerde as its new President during its Open Door's Day event held on October 2 at the Teratec Campus. On 27 September, the General Assembly elected Daniel Verwaerde as President of Teratec who acted as General Administrator of the CEA until last spring. Upon his appointment, Daniel Verwaerde warmly thanked Christian Saguez for his major contribution to the development and mastery of digital technologies in France and Europe, as Founding President of Teratec while he becomes its Honorary President. "I am particularly happy to be back with Teratec", Daniel Verwaerde said." I actively participated in its creation and followed its development. So, I am keen to continue this success by extending it to new areas, particularly extending its reach witin SMEs, and by making Teratec the European reference center for all digital technologies, from simulation and supercomputers to quantum computing and artificial intelligence". 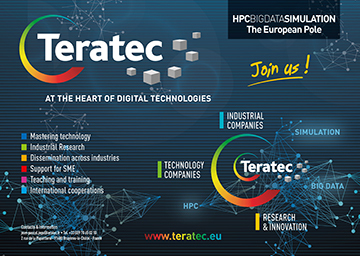 On October 2, from 09:30 to 17:30, the Teratec Campus, a competence center in digital technologies (Simulation, Big Data, Artificial Intelligence...) will open its doors with hosted HiTec Companies and the Very Large Computing Centre of the CEA so you can meet us and discover all our professions. Whether you are a company manager, project leader or future engineer, come and exchange and share your vision of digital technology, your experiences and business needs. You will thus be able to discover how companies and laboratories installed on the Teratec Campus can help sustain your future developments. 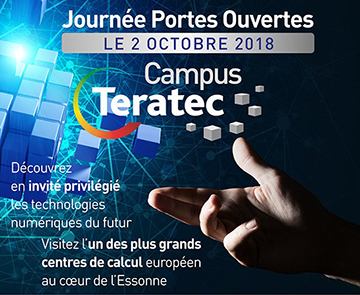 The exhibition and demonstration area, the mini-conferences and a visit of the supercomputers will offer you a complete panorama of activities taking place on the Teratec Campus, concentrating advanced technologies in the heart of the Essonne region. It is now widely acknowledged that digital technology, especially High-Performance Computing, Simulation and Big Data, is essential, indeed crucial, for competitive economic growth, national sovereignty and an advanced society. Teratec, in bringing together all the key players in the field - technology providers, users, academic research centres, political and regional authorities -, is deeply committed to tackling and finding solutions to these challenges. 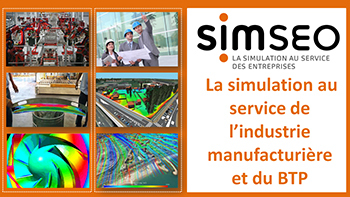 SiMSEO has sensitized more than 600 SMEs to the use of digital simulation and has already accompanied more than 180 SMEs to integrate digital simulation tools in the manufacturing and construction industries. In the manufacturing industry, the SiMSEO program deployed 52 business service offerings covering design and manufacturing professions. In the construction industry, 25 service offerings are currently deployed in the areas of structure, energy, acoustics, lighting and life-cycle analysis. On March 2, 2017, Teratec gathered 150 start-ups to launch 10 challenges to meet key demands of major manufacturers by offering breakthrough solutions! On 18 April 2017, 10 winners had already been selected. Within a few months, 10 startups were implementing their PoC around Big Data and AI in various fields (City and Urban Systems, Food, Manufacturing and Security) with prestigious sponsors: Alstom, Airbus Safran Launchers, Axereal, GE, Gemalto, Noriap, and our major technology partner Intel. A technical workshop focusing on Data, AI and architectures, was also organized by Intel on October 13, 2017 on the Teratec Campus. 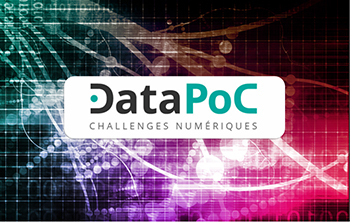 Teratec, in partnership with L'Usine Digitale, organized on June 19, 2019 the 4th Digital Simulation Trophies as part of the Teratec Forum. 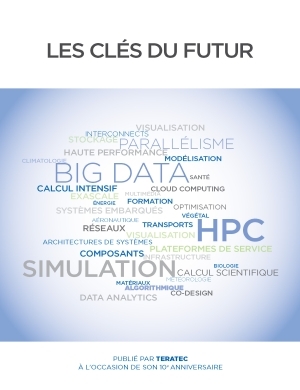 This prize has rewarded the best French projects in HPC, Simulation and Big Data. On January 12, 2015, the second call for projects supporting R&D in the field high performance computing and simulation opened. This second round embraces the priorities of the "Supercomputers" plan's road map, which was approved on May 7, 2014 by the steering committee for the New "Industrial France," with President Hollande in attendance. French Supercomputers Plan of "the New Face of Industry in France"
This plan aims to place France as a world player in of high performance computing and improve the competitiveness of French industry by mastering and development of numerical simulation. Push hardware and software technologies to achieve exaflop performance. Encourage small businesses and industrial firms to use more and more HPC technologies by supporting their plans to do so. Implement appropriate advanced education systems across the country. 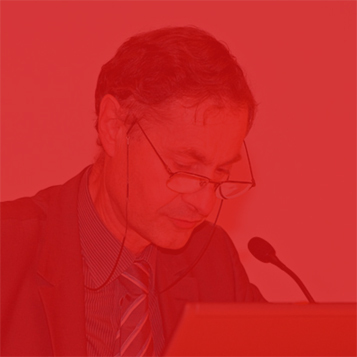 The Plenary sessions will focus on technological challenges of numerical simulation and diversity of uses of intensive computing with participation of representatives from the political, economic and academic worlds along with international industrial users and solutions providers, all Leaders in these technologies. Technical and application workshops led by main market players, recognized experts and major users will introduce most recent updates on emerging technologies and new areas of application of digital simulation, Big Data and AI..
Set up on eighty stands, an exhibition will bring together the main players operating in the HPC world. On Manufacturers and publishers, suppliers and integrators of hardware, software and services solutions, universities and research laboratories, competitiveness clusters and public bodies, will also present their latest innovations in High Performance Digital Simulation. Animated by TERATEC members, these training workshops aimed to present their latest hardware, software or services innovations, to give concrete examples of their use in an industrial context and to guide participants in their learning. Engineering applications will be among the first to exploit Exascale, both in industry and in research laboratories. 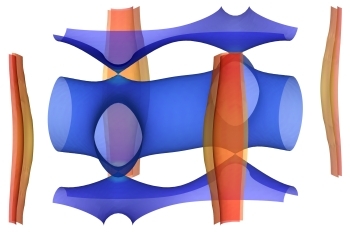 In fact, industrial engineering is the field with the greatest potential for exascale. Therefore, EXCELLERAT brings together the necessary Euro-pean-based expertise to create a Centre of Excellence in Engineering with a wide range of services, paving the way to Exascale, as part of the HPC strategy driven by EuroHPC. 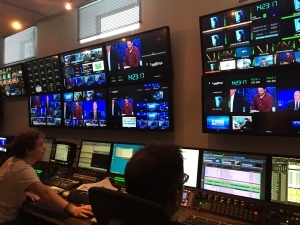 After its first phase (2015-2018) during which project experts analyzed and helped to op-timize more than 150 applications, the POP project was extended for a further 36 months to consolidate its analysis method and process while responding to the many requests for services that intensive code developers continue to send it. The "Les Clés du Futur" White Paper (Unlocking the Future), published to mark Teratec's 10th anniversary, presents the major directions in which technology in this sector is moving, describing new and conventional uses, as well as the related current and future challenges. 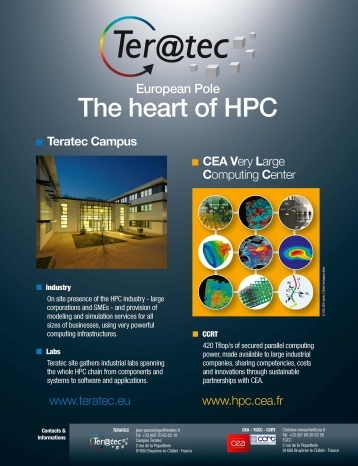 The purpose of the TERATEC Campus is to give professionals from the field of numerical simulation and high performance computing a dynamic and welcoming environment at the crossroads of innovation, based on three major areas: system architecture and performance, software development and services provision..
At the heart of the TERATEC Campus, the Chamber of Trade and Industry of the region of Essonne accommodates you in a space of over 1,500 square meters, providing small, fitted office areas ranging from 15 to 280 square meters in size, including quality services and customized support to meet your development needs, whether you are a small or a large company. .
High Performance Simulation is both an essential factor in corporate competitiveness and an absolutely vital tool for major scientific challenges. Thus it enables experts to design products more rapidly which are better suited to customers’ requirements and furthermore to analyse and understand complex phenomena. Promoting High Performance Simulation is, therefore, a priority both for the industrial world as well as for the academic community and provides also an opportunity for IT specialized companies. Report on "High Performance Simulation to boost competitiveness"
This report is the result of a task conferred on Gérard Roucairol, Teratec's Chairman, and France's General Commission for Investment (CGI) and Directorate-General for Competitiveness, Industry and Services (DGCIS). It aims to define the stakes involved in the uptake of High Performance Digital Simulation, taking account of the technological developments and breakthroughs underlying current and future generations of computers. The report also aims to propose measures for more advanced and integrated use of HPC in business sectors in which it is already being used, for wider uptake in new sectors, and to increase the number and the diversity of players capable of using it, while promoting the development of adapted ecosystems.